So long summer; I barely knew ye. While the warm temperatures, sunshine and days at the beach may not last as long as some may hope they would, there is no denying the beauty of fall. Sure, you are depositing your tank tops, shorts and flip-flops at the First National Bank of Your Closet to withdraw your sweatshirts, jeans and shoes, but you are also being treated to some of the best collages of colors you will ever see and a refreshing switch in seasonal brew. Summer has long been known for its myriad of citrus-inspired and wheat beers, but now the shandies, IPAs and weisse move to the backseat to make room up front for pumpkin flavors, ambers, stouts and porters. 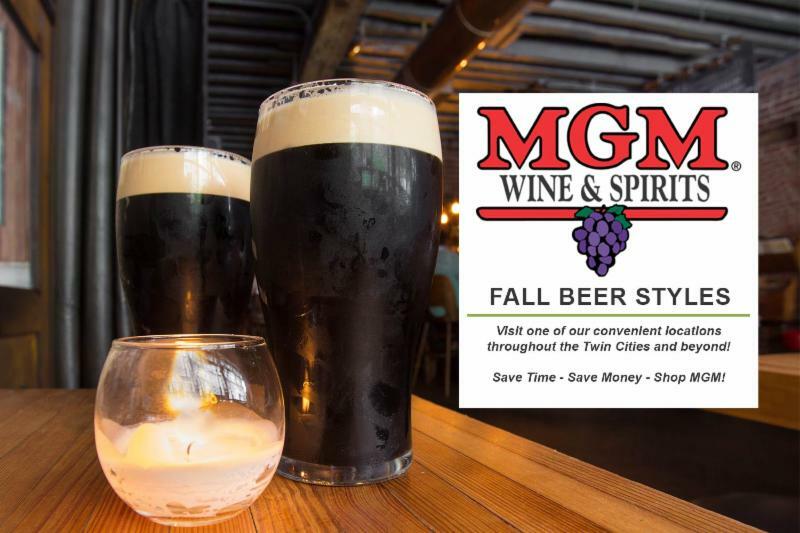 Fall is the only time of the year when the colors and crispness inside your glass match that of the great outdoors-talk about the perfect marketing partnership. Pumpkin/Spiced: Fall is the season of pumpkin-flavored everything, and not even brew can escape its gourdish grasp. And like taste buds, there is no one size fits all when it comes to this seasonal mainstay. BeerAdvocate lists more than 1,400 examples of the squash-infused suds, and spices such as nutmeg, ginger, cloves, cinnamon and allspice are often mixed and matched in the potent potables. When it comes to taste, pumpkin brews tend to be mild, and the beers tend to let the spices talk the talk and walk the walk. Some of the more popular brews in this category include Yamma Jamma by Indeed Brewing Co. and 20 Pounds of Pumpkin by Samuel Adams. Amber Ale: A spiritual successor to pale ales, ambers cut their teeth in California and the Pacific Northwest before flowing through the rest of the country. With a color range of amber to deep red, the beers are the perfect match for the fall colors outside your window. Malt and hop flavors tend to be on the medium-to-high end of the scale, and taste can gravitate toward a sweet, caramel-like flavor. Popular local brews in this category include 2 Gingers Barrel Aged Libertine by Fulton Brewing Co. and Finnegans Irish Amber. * Russian Imperial Stout: Perhaps the stoutest of the stout, this black-as-night beverage boasts an impressive AVB range of 8 to 13-plus percent. Expect a robust flavor profile consisting of chocolate and burnt malt flavors with a touch of dark fruit and a hop character that runs the gamut. Popular local brands include Darkness by Surly Brewing Co., and Worthy Adversary and War and Peace by Fulton Brewing Co.
* English Oatmeal Stout: The popular breakfast food has carved out a unique niche in the world of stouts. Not only does oatmeal give the brew a smooth-as-silk feel without any bitterness, but it also gives it flavors of oatmeal (go figure), milk chocolate and/or coffee. Get started by taking your taste buds on a ride with a pint of Oatmeal Stout by Summit Brewing. * Dry Stout: More affectionately known as an Irish stout, this variety is known for its medium-to-high level of bitterness, which stems from roasted barley and a healthy portion of hops-and is often poured from nitrogen gas taps that give the body a creamy feel. Guinness is a popular choice in this variety. * American Porter: This style of porter is very dark in color, and it is highlighted by a chocolate-like sweetness with varying bitterness. Porter by Sierra Nevada offers a great entry point. * Baltic Porter: One of the strongest in the family, the Baltic Porter stems from countries in the Baltic Sea, and its strength lands in a spot somewhere between that of the original English Porters and Russian Imperial Stouts. Get a taste of this variety with Smoke by Surly Brewing Co.
* Robust Porter: A variety similar to the original English Porter, the Robust Porter features a strong roast malt flavor and a level of hop bitterness you can taste. Notes of a caramel sweetness can also be felt. Whet your whistle with Northgate Brewing’s Stronghold Porter to get a feel for this one. Pumpkin brew dates back to colonial times. When the pilgrims landed, good malt was hard to come by, so they turned to pumpkins to provide them with the fermentable sugars necessary. A notable brewer was George Washington, the first president of the United States of America. We’ve all heard the phrase “opposites attract,” but in the world of pairing food with brew, you’ll want to shoot for pairing light dishes with light beer, and strongly flavored dishes with-you guessed it-a strongly flavored mug of suds. For pumpkin/spiced brew, pork tenderloin and poultry are your best bets. Amber ale plays the role of a chameleon and pairs well with a wide range of plates, including chicken, seafood, burgers and spicy cuisine. Porters have a stronger taste, so eats such as barbecue, roasted meat and blackened fish will be a match made in heaven. And because stouts are similar to porters, they too pair well with beef, game and other smoked and grilled meat. 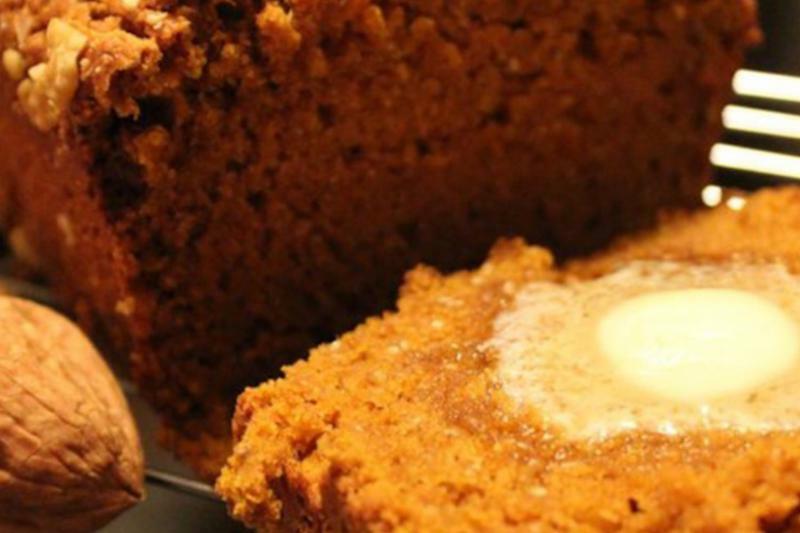 Doubling the pumpkin by adding pumpkin beer puts a little twist on your typical pumpkin bread recipe and makes an incredibly moist and flavorful bread. Chia seeds give a boost of added nutrients, while the leftover beer is great for sipping while you bake! The perfect fall-infused bread. 1. Preheat the oven to 350°F. Spray a 9×5-inch loaf pan with cooking spray. Combine flour, salt, baking soda, cinnamon, pumpkin pie spice and nutmeg in a bowl; set aside. 2. Beat the sugar, canola oil, whole eggs, egg white, pumpkin beer and pumpkin purée together in a large bowl until smooth. Combine chia seeds and water in a small bowl, and then whisk in the chia seed mixture into the pumpkin mixture until smooth and well blended. Gradually stir in the flour mixture into the pumpkin mixture. Mix until smooth. Pour batter into the prepared loaf pan, and layer the chopped walnuts on top. 3. Bake in the preheated oven until a knife inserted into the center comes out clean, about 50 minutes. Cool in the pan for 10 minutes before removing to cool completely on a wire rack.